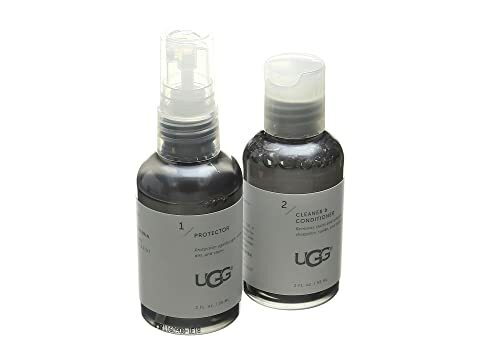 Perfectly sized for travel, this kit contains a Cleanser and Protector, so you can care for your favorite shoes on the go. 2-ounce bottle of Suede and Sheepskin Cleanser. Protection against rain, snow, dirt, and stains.